If you have a car or truck that the engine light is on and want to know why, there is a cheap low-cost way to do it with a smartphone. All vehicles since 1996 have an onboard computer and a plug called a OBDII socket that can talk to it with the right device. 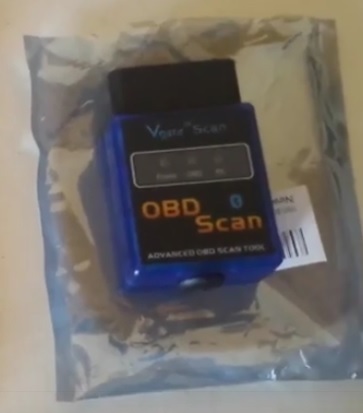 Since the computer stores all the errors codes and other data a car is doing it can be read this information with an OBD2 scan tool. In the past OBD2 scan tools were expensive dedicated equipment that only professional mechanics use. Now for any smartphone, android or iPhone user, small cheap OBDII Bluetooth devices can be bought very cheap. Here is one on Amazon. They are simple to setup and use an App such as Torque to pair with the Bluetooth and display problems. There are many Apps that can be paired with a OBD2 Bluetooth adapter free and paid. Using one is simple and after paring a smartphone with Bluetooth along with an App it will display any error codes in the computer as well as erase them. Many Apps can also have a real-time display to show RPM, temperature, Vacuum pressure and so on. If you have an engine light on in a vehicle and would like to know why it is on a OBDII scan tool can do this. Using a small cheap OBD2 Bluetooth adapter paired with a smart phone or tablet is easy to do. From seeing what the problem is before taking it to a mechanic to the DIY mechanic that needs to find the problem. They are great little devices for any car or truck owner.